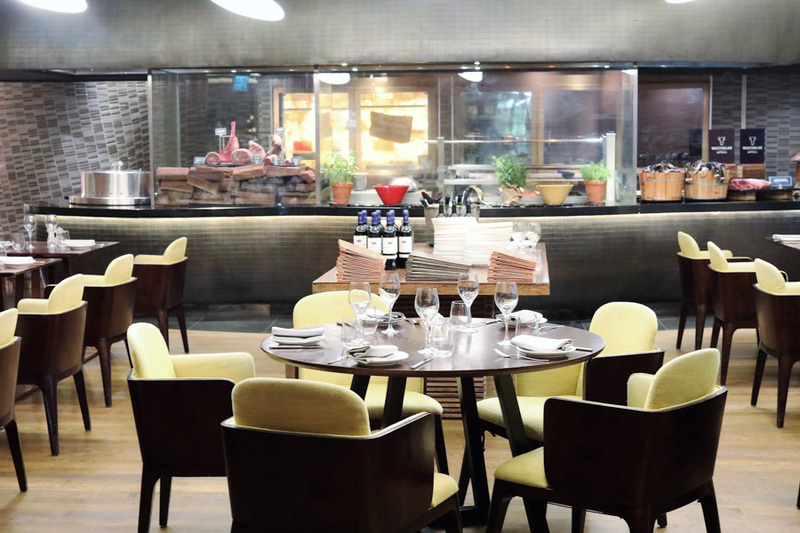 Opus Bar & Grill at Hilton Singapore, known to be one of the best steakhouses in Singapore, has delivered some exciting menu changes. 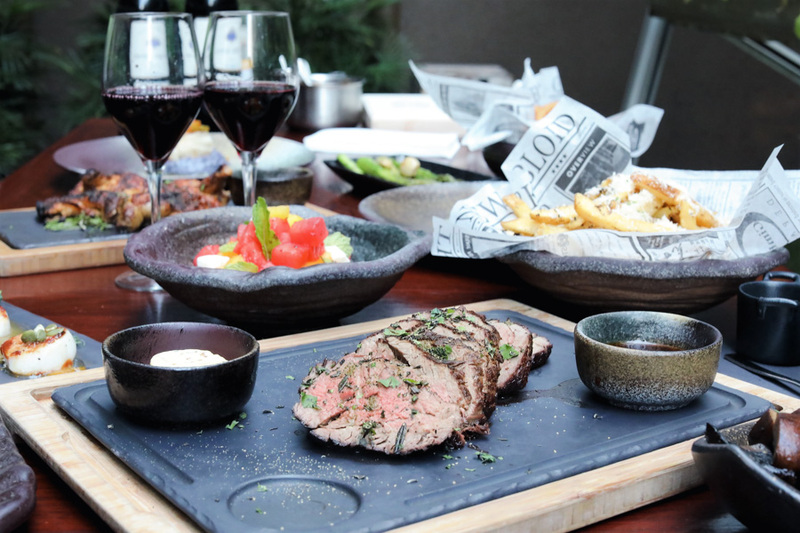 While the signature Opus Premium Sharing Cuts are the crème-de-la-crème, there is a whole new entourage of dishes, including new steak cut, grilled seafood, and recommended starters, main, and side dishes to explore. This menu revamp is done as part of its 4th year birthday celebration. 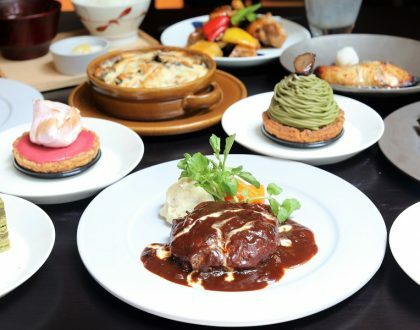 Opus’s signature Premium Sharing Cuts and Platters are famous for their variety of textures and flavours. 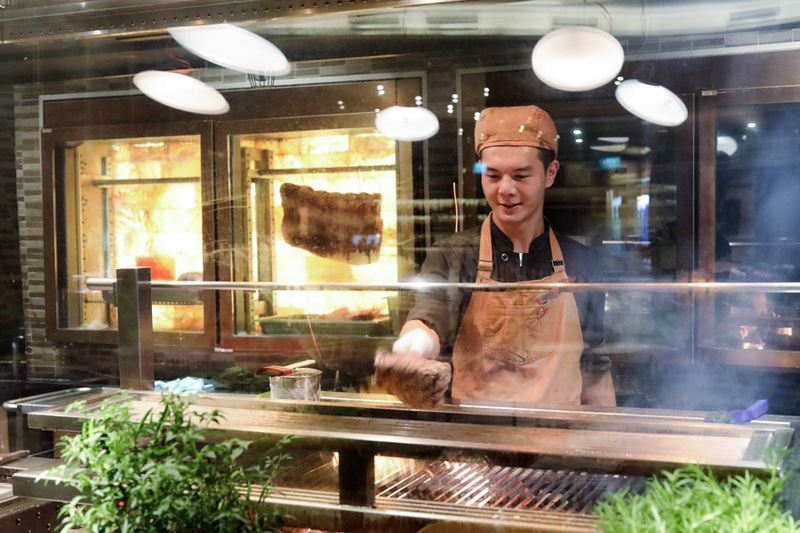 Each premium steak is handpicked and dry-aged in a specially commissioned Himalayan salt tile cabinet to develop an intense taste. 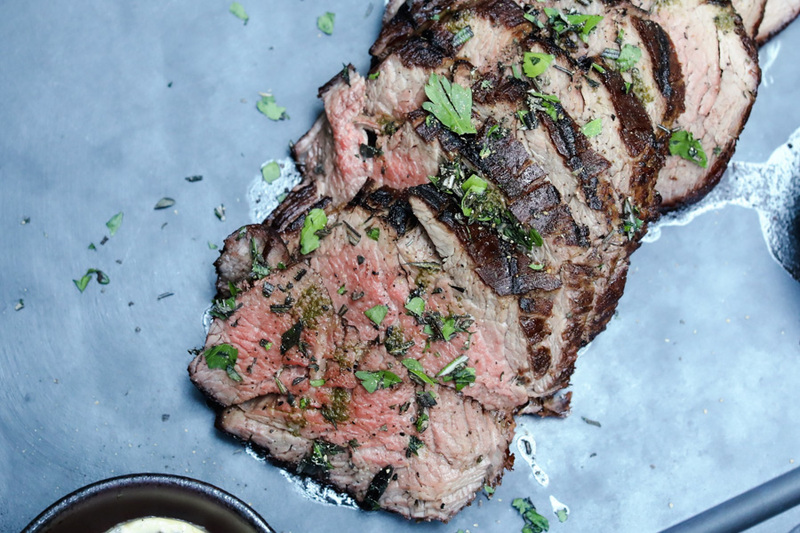 Cooked over an open-flame grill using charcoals and sustainable Jarrah wood, these steaks are grilled in utmost perfection. 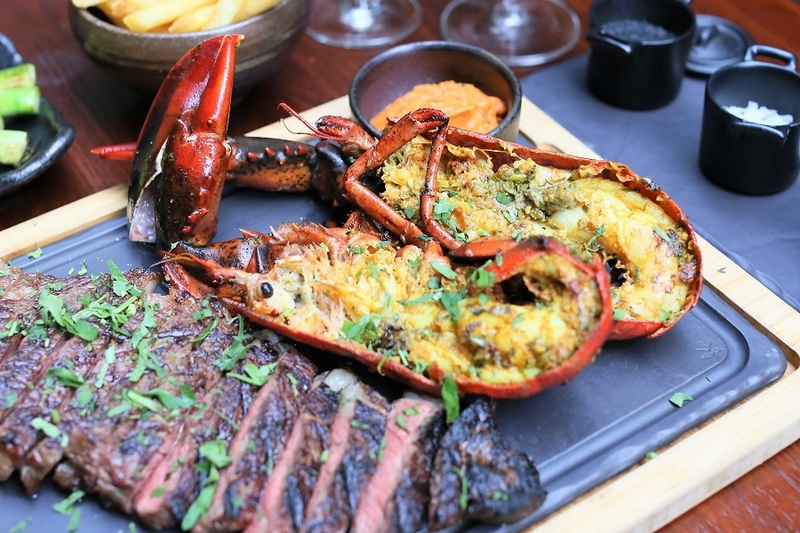 What you get are masterfully charred meats with smoky, caramelised flavours. 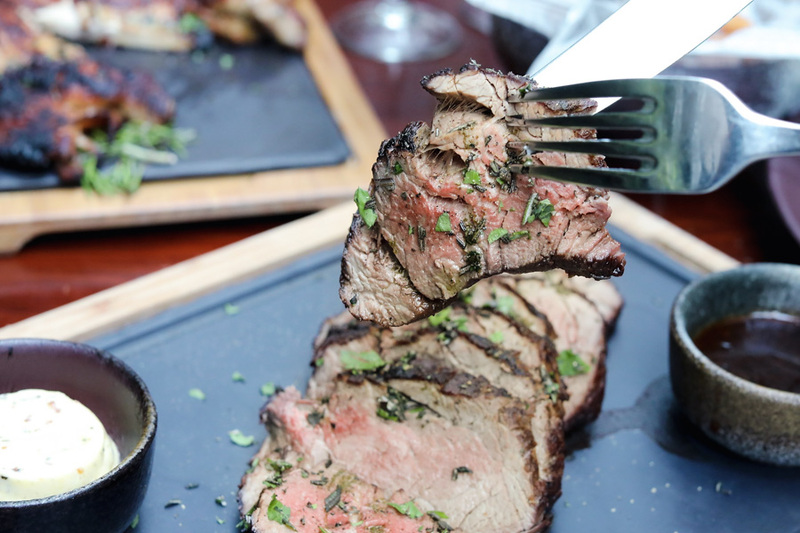 For the main, try this first-rate steak – a chateaubriand, prepared using the center-cut section of beef tenderloin, the tenderest cut of beef. Steak devotees will love how this thick meat cut is roasted carefully to ensure proper cooking, with its centre still moist and reddish pink. 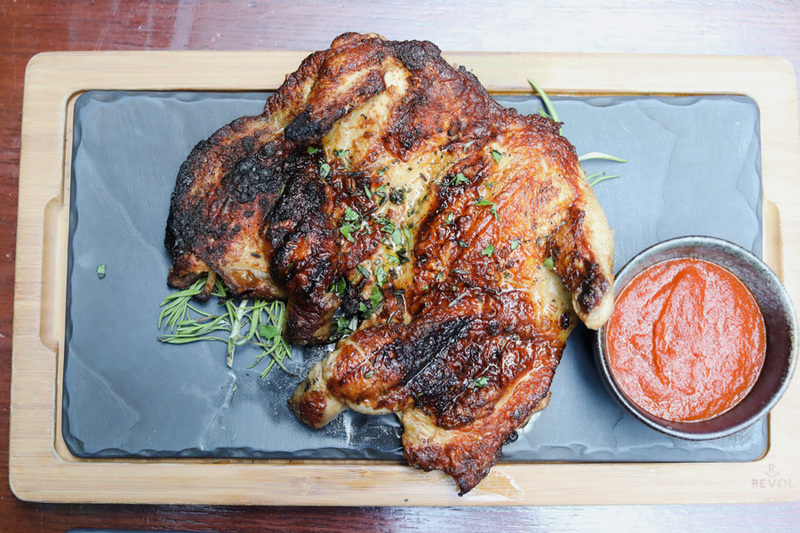 Due to its heft, this dish is offered as a sharing cut. As for the taste, let the quality meat speak for itself. Even while it is good sans any back up sides nor sauce, sharing cuts come with choice of two sauces. 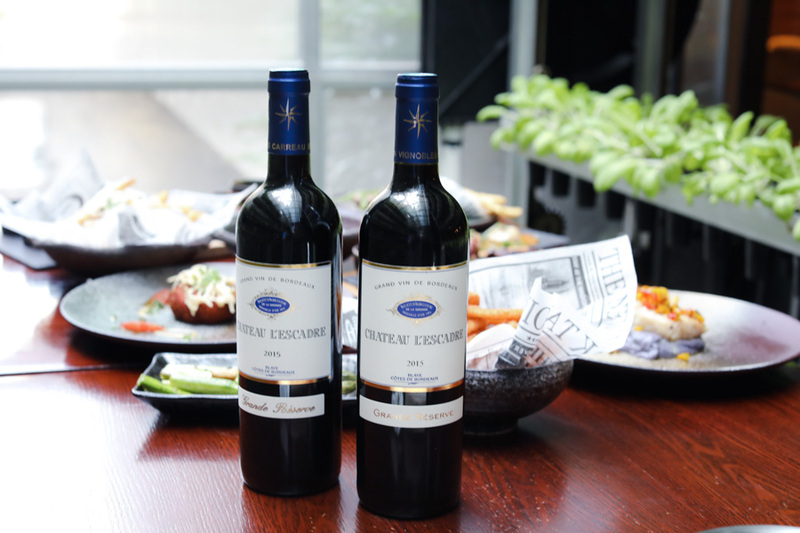 Pick from the selection from Bearnaise, Black Truffle & Wild Mushroom, Red Wine & Bone Marrow, Opus Smoky Barbeque sauce, or Smoked Chili Glaze. There are more – just naming some of my favourites. 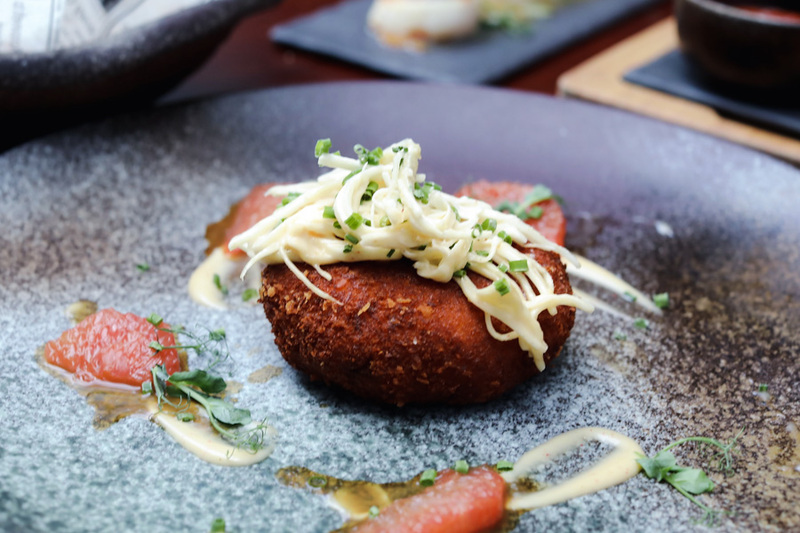 A chef-suggested starter, this signature crab cake has a crisp, golden-brown crumb that easily breaks to reveal a well-seasoned premium lump crabmeat filling. This standout specialty dish is topped with celeriac remoulade, a French-inspired salad made with thin strips of celeriac tossed in a mayo-mustard dressing. Cleanse your palate with the sweet citrusy flavour of pink grapefruit wedges served as accompaniment. 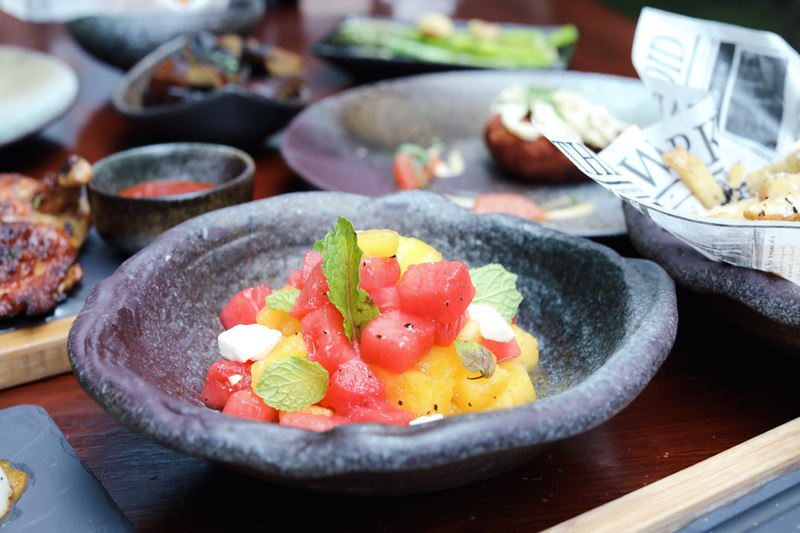 Another starter that is suitable for vegetarians, this light salad is a refreshing mix of cubed red and yellow watermelons. Tossed into it are small blocks of crumbly feta cheese, its briny taste and grainy texture complementing the juicy sweet chunks of fruit. Finished off with a white balsamic dressing and garnished with mint leaves for extra freshness. 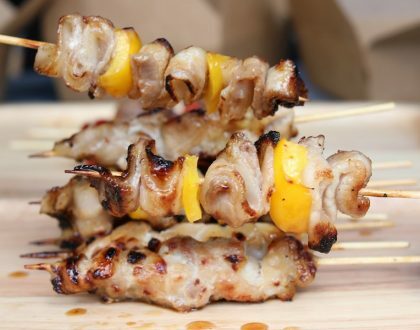 Order this if you would like to balance out the heaviness of the grilled meats. 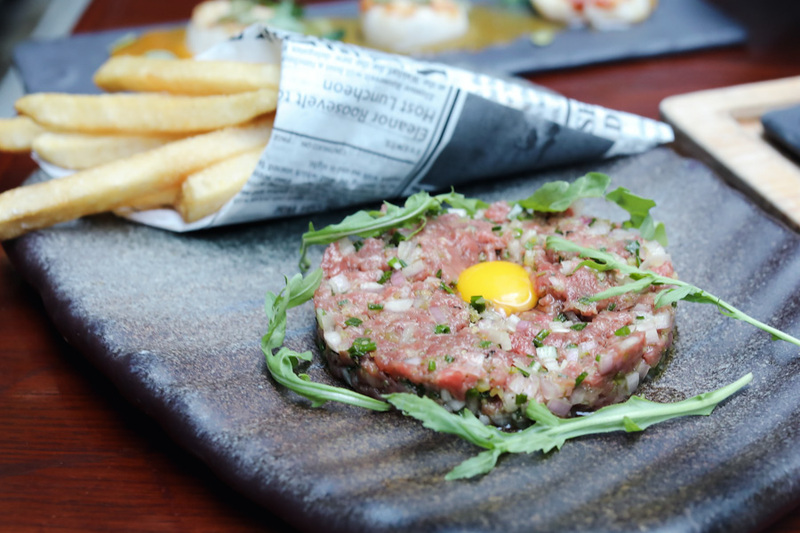 This steak tartare is another chef-suggested main, served with traditional garnishes and French fries on the side. What’s noteworthy is that it’s made from raw meat, hand-cut into small pieces. 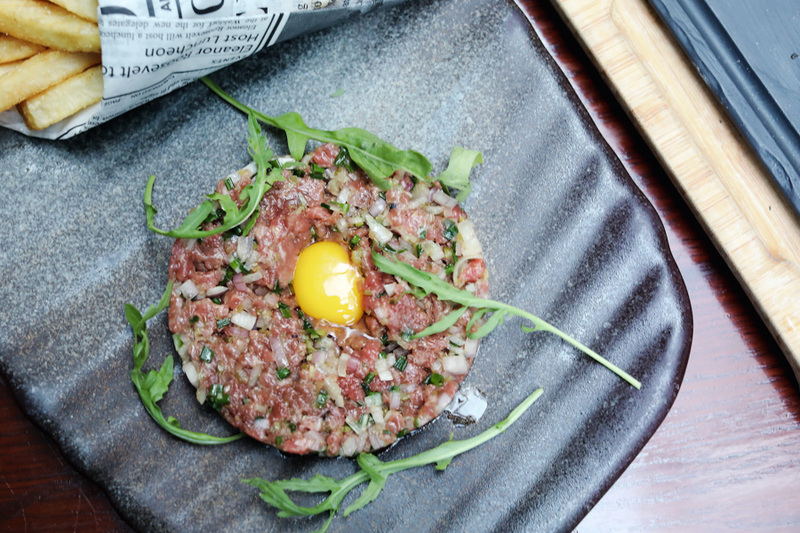 An alternative way to enjoy your steak, not the usual seared-grilled way, but as a succulent blend of minced meat, an egg yolk in the middle, and seasonings. 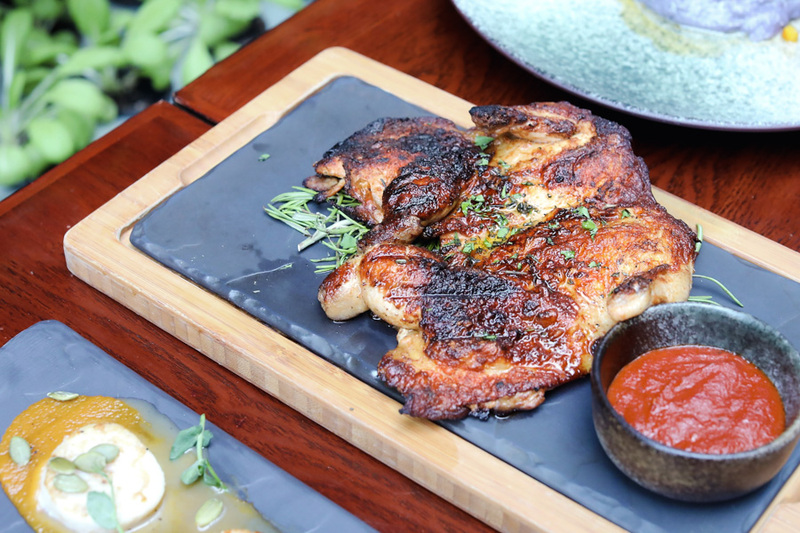 Those who want a non-beef grilled main can order this poultry dish, using a special Malaysian-sourced chicken. 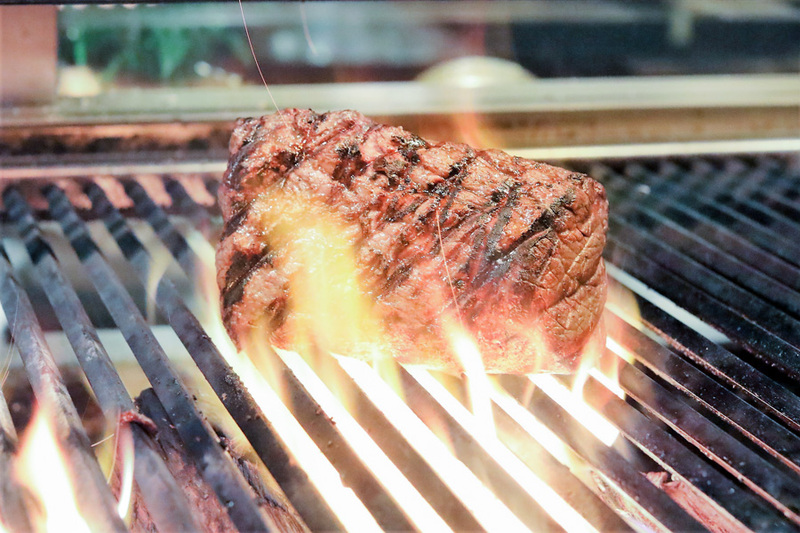 Like the other premium beef cuts, this house specialty is cooked in Opus’ signature open-flame grill over white hot coals. This well-seasoned 600g spring chicken, presented as a butterflied cut, carries a deep smoky flavour and a tender, moist meat. 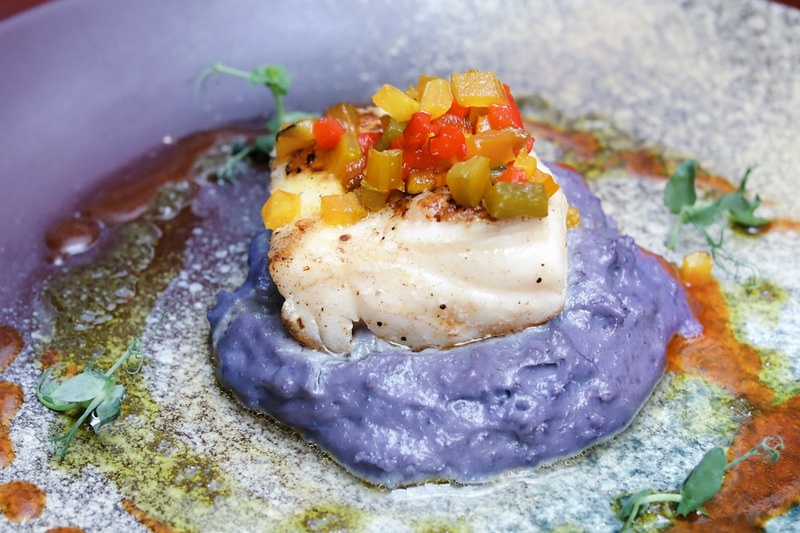 Two new seafood mains appear in the menu at Opus, the first restaurant in Singapore to be certified and awarded the prestigious Marine Stewardship Council (MSC) ecolabel. 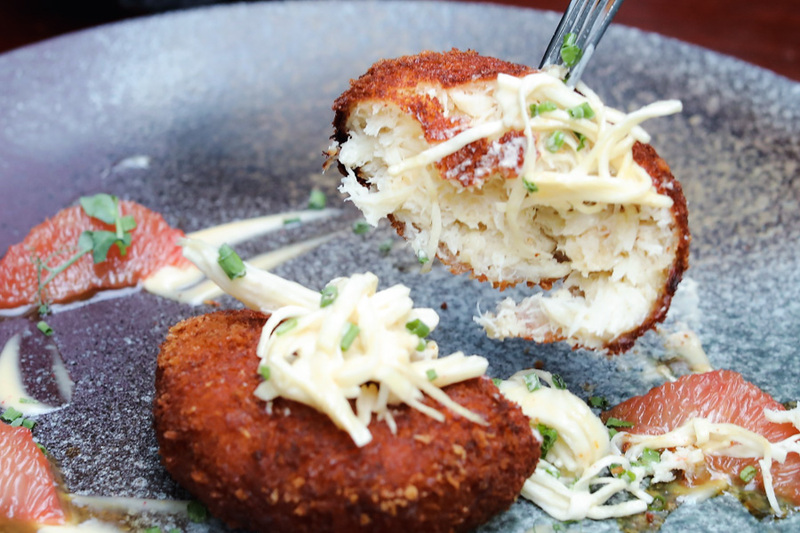 You’re assured that the seafood in your plate comes from a fishery with sustainable practices. 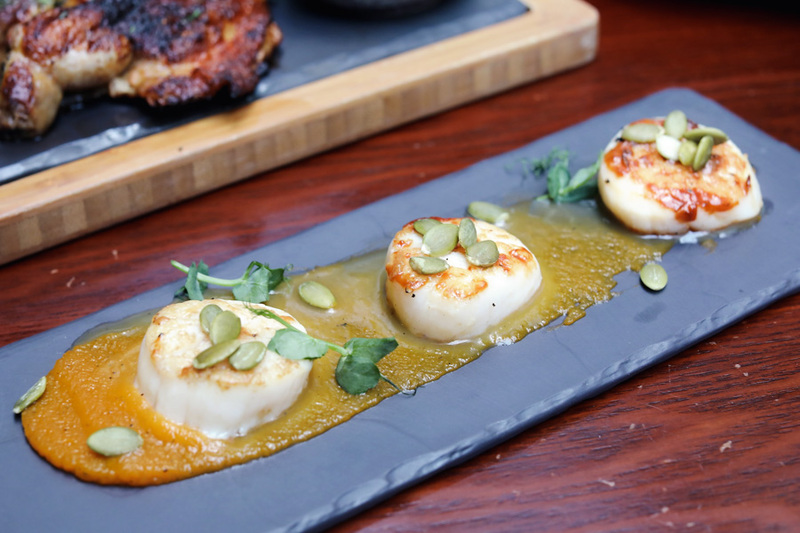 Die-hard scallop fans will love this new dish, served using MSC-certified sustainably-caught Atlantic Sea Scallops. The searing process locks in these fresh scallops’ naturally-sweet juices making them a delightful starter before you head on to your main. A serving includes 3 plump pieces laden on a smear of butternut squash puree, adding a hint of sweetness to the sea-salty scallops. Topped with pumpkin seeds for a bit of crunch, and garnished with basil leaves as a finishing touch. 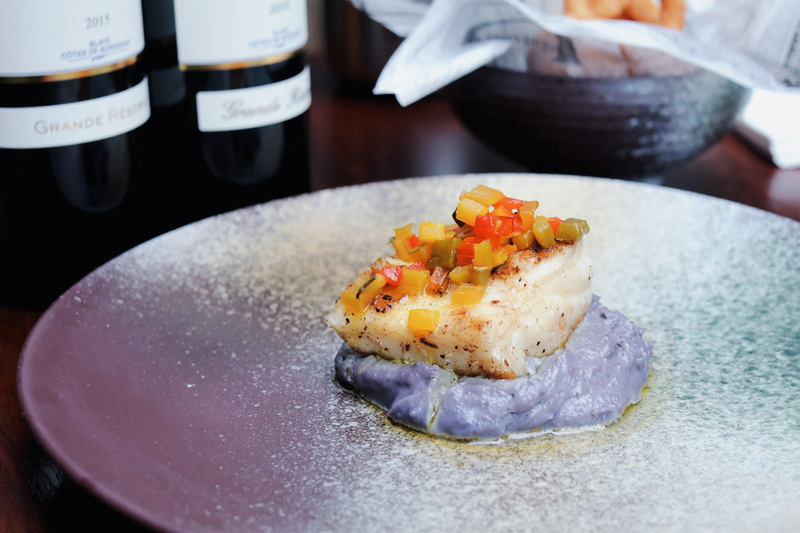 The second new seafood main, likewise bearing the MSC seal, features a New Zealand-sourced rock ling fish. This fish, also known as beardy, kingclip and ling, is an eel-like species with long, tapering bodies and a mottled dark grey and white skin. Its medium firm flesh holds its shape whether as steak or fillet even after cooking. With its mild flavour and low oiliness, this grilled fish comes with saffron-marinated seasonal vegetables, a bed of Japanese purple sweet potato mash, and an aromatic sauce. 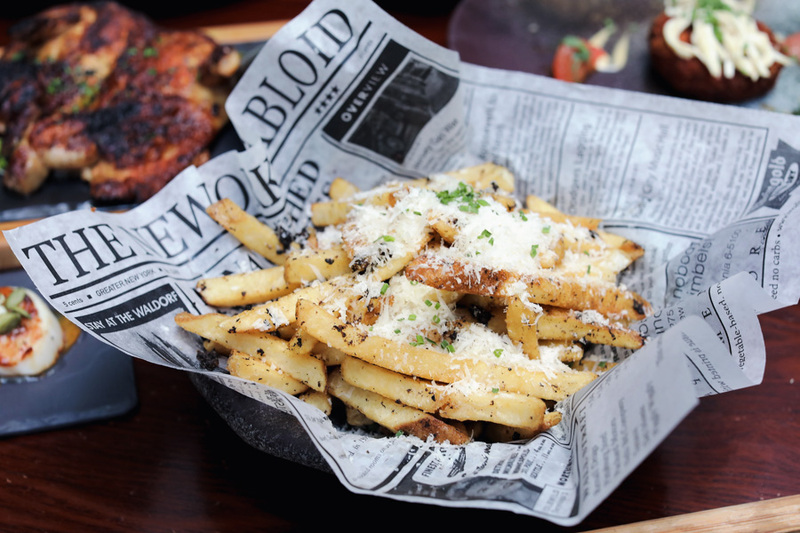 Rounding up the list of new menu items are premium sides you can order to complement your grilled mains. These include Grilled Fat Green Asparagus, Tempura Onion Rings, Portobello Mushrooms, and the signature Opus Over-The-Top Fries. This potentially-addictive signature side dish is made with crisp-fried thick-cut Idaho potatoes, drizzled with foie gras fat and black truffle puree for sheer decadence. 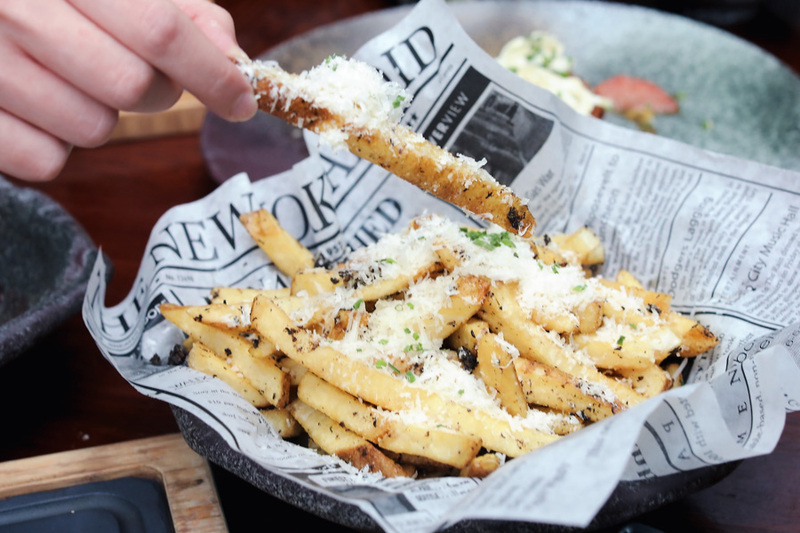 These fries come with a sprinkle of grated Parmesan for that over-the-top umami flavour. 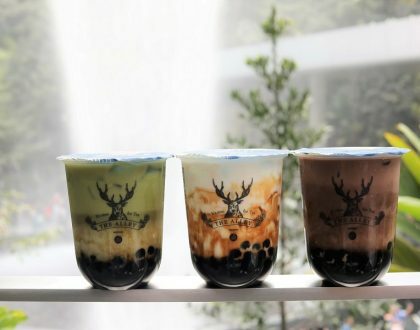 A must-have no matter what you are ordering above. A classic pairing with steaks, these fresh asparagus spears will provide the much-needed reboot to your palate as you indulge in the sometimes fatty-good meats. 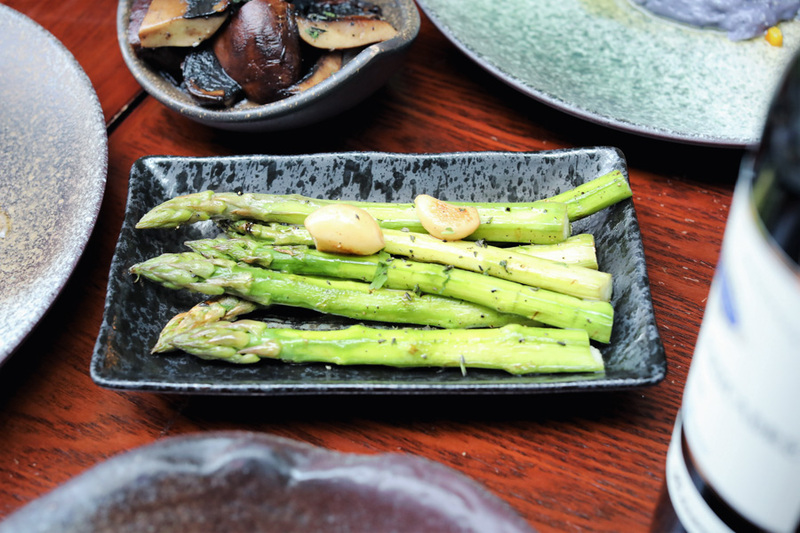 Simply grilled to preserve its natural taste, these fat green veggies are crunchy accompaniments to your meal. This premium side dish uses authentic Vidalia onions (apparently accidentally discovered in the 1930s in Georgia, USA). Known for being hand-cultivated, this onion has a distinctive taste derived from the weather, water and soil unique to Southern Georgia. 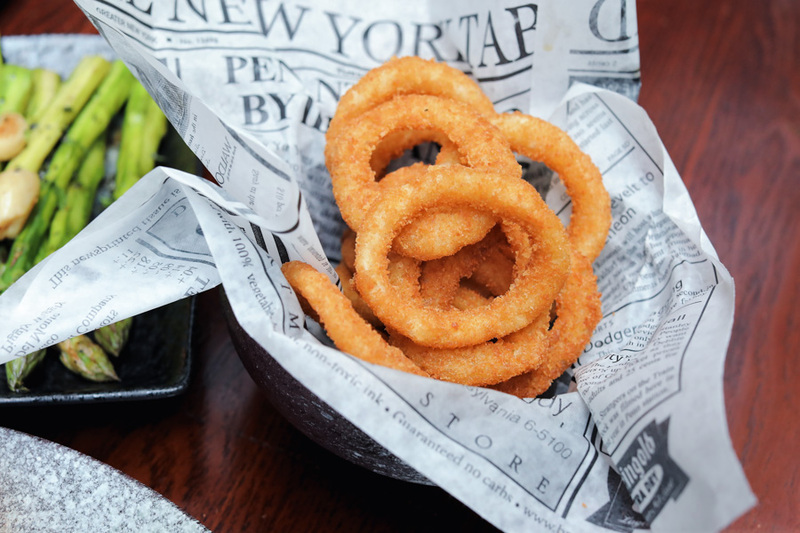 It found its way to Opus menu as onion rings, dipped in a light tempura batter and deep-fried ‘til crisp. Another guilt-free side you can throw into your spread are these large, brown mushrooms, simply seasoned and grilled on each side to release earthy notes. 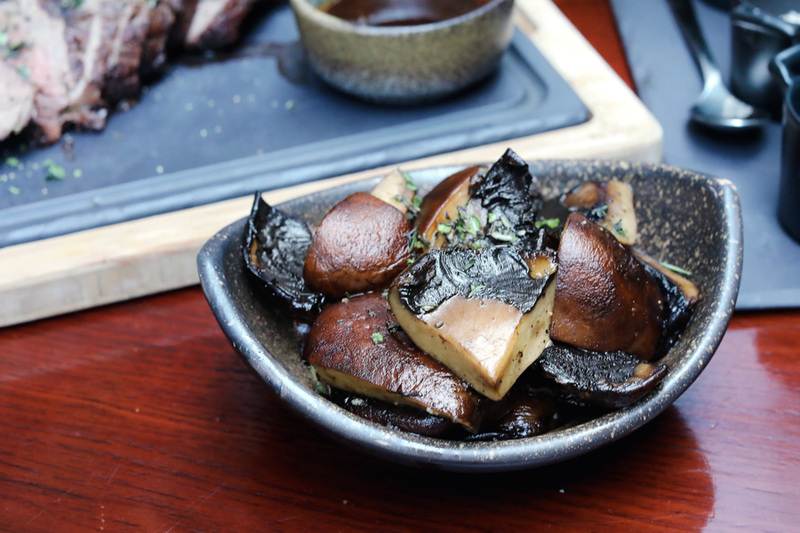 Portobello mushrooms are good accompaniments to dry-aged steaks for their depths of flavour.